One of the primary intellectual themes of modern skepticism is that we need to understand the brain as a tool for gathering, processing, and storing information. The brain is a powerful, but extremely flawed, instrument subject to numerous cognitive biases, selective and distorted perception, and malleable memory. Often I see people amused and entertained by demonstrations of the brain’s true nature, such as optical illusions or attentional blindness – but not everyone truly absorbs these lessons and understands their broad implication. The illusion that we perceive and store information in an objective an accurate way is compelling – but that too is just another construct of the brain. Every time someone says, “I know what I saw” or “I have a clear memory” they are being profoundly naive. Modern neuroscience has taught us that there is practically no limit to the extent to which we can be fooled, especially by ourselves. Memory is just one aspect of this picture – memories are living evolving things, not static recordings. We all experience and can understand memory fade – the older a memory, the more faded the details tend to be. We intuitively get that just from our own experience. But that is not the extent of the problems with human memory. Each time we remember something, we reinvent the memory – it changes, updates to account for our current knowledge, details can be added or altered, two or more memories can fuse, and false memories can be fabricated out of whole cloth. The Italian Government has charged their top seismologists with manslaughter because they failed to predict the devastating 2009 earthquake, which killed 308 people. The scientists, and the seismology community, are stunned – primarily because it’s impossible to predict earthquakes. Judge Giuseppe Romano Gargarella said that the seven defendants had supplied “imprecise, incomplete and contradictory information,” in a press conference following a meeting held by the committee 6 days before the quake, reported the Italian daily Corriere della Sera. That may have something to do with the fact that earthquake science is imprecise, incomplete, and often produces contradictory information. The scientists and their colleagues are calling this a witch hunt and warn that it will have a chilling effect on scientists, a very real concern. Remember the Marvel comic hero Daredevil? He was blinded by exposure to radiation, but that same exposure ramped up his other senses so that he could, in essence, “see” with his hearing. Daredevil used a form of echolocation in order to survey his surroundings, and was able to be an acrobatic crime-fighter as a result. While I liked the character, I always thought the idea was far-fetched. (Yeah, I know – it’s a comic-book character.) But perhaps the idea is not as science-fiction as you might think. There are reported cases of blind humans who developed a form of echolocation – they even use clicks to generate sound for this ability. Echolocation is the use of sound waves to bounce off of object and then form an image of the those objects from the sound waves that bounce back. This may seem extraordinary, but it is no more extraordinary then using light waves to form three-dimensional images of the world around us. It just takes a bit of brain processing. Bats are the most common animal to come to mind when one thinks of echolocation, but other creatures do it as well, such as dolphins. Recently CBC in Canada aired a program on homeopathy for their series on consumer protection called Marketplace. The segment was titled Cure or Con and was generally a good program. It was not a hard-hitting skeptical treatment of homeopathy, but it was a fair treatment of the evidence and arguments concerning homeopathy. There was no “false balance”, although they did give homeopathy proponents an opportunity to tell their side of the story. Generally the program was considered a “win” among skeptics – a rare bit of good journalism on a controversial and complex topic. Of course, the homeopathic community was not pleased (a reliable sign that the show did a good job). Just read the comments beneath the program linked above and you will see a long list of displeased homeopathy advocates running through the list of logical fallacies and making many misstatements of fact. The homeopathy community, in fact, organized a negative feedback campaign in response to the segment. Have you ever played the game as a child that involves crossing your arms, clasping your hands, then pulling them in towards you and back up and around? The result is that your hands are clasped backwards to their normal position. Then someone else points at one of your fingers (without touching it) indicating which finger for you to move. It is common on your first attempt to move the corresponding finger on the opposite hand. 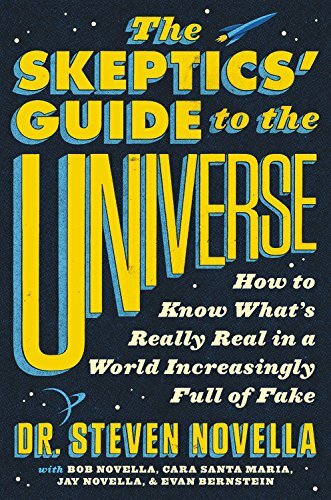 You are then delightfully freaked out by how easy it is to trick your brain into getting its wires crossed. This simple schoolyard demonstration reveals interesting neuroscience – a principle which has recently been exploited in a pilot study of pain perception. Researchers induced pain with a laser (so no visual cues) in one hand or another of 20 subjects. They found that if the subjects crossed their arms past the midline then their pain perception was decreased. Both effects likely result from the organization of the brain. Our brain integrates the various sensory modalities with our map of the world, our map of ourselves, and feedback from our muscles. This information works together to create our internal sense of ourselves and the world. When the various sensory inputs match, then everything is hunky dory. When they do not match, our brains gets confused and generate anomalous manifestations. Scientists report in the Lancet a case of a 23 year old man paralyzed from the chest down who was able to learn to stand and walk with the aid of a spinal stimulator. This is an interesting advance, but news reports are careful to point out (correctly) that it is not a cure. Rob Summers suffered an car accident in 2006 that damaged his spinal cord at the T1 level – just below the neck. This would mostly (although not completely) spare his arms, but render him weak in the legs. According to the case report he had no detectable leg movement and lost bladder control but had partial sensation in the legs. This is an important detail to put this case into perspective – Summers’ injury was partial, if severe. This means there were some neurons that were spared. When I first read the news items but had not yet read the original report I thought this might be another case of using electrical stimulation for external control. There are already systems in existence, called functional electrical stimulation (FES), that allow paraplegics to externally stimulate their leg muscles, to make them contract in a sequence that causes them to take clumsy if functional steps. Simple devices strap onto the lower leg and can treat foot drop by stimulating the muscle that raises the foot at t the ankle. More elaborate devices consist of a walker with hand controls that stimulate various muscles of the legs and allow for a clumsy but functional gait. 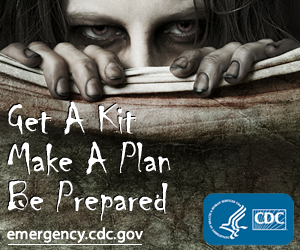 The Centers for Disease Control (CDC) want you to be prepared for the possibility of a zombie apocalypse. Really. They have started a campaign to educate the public how to prepare for the eventuality of a mindless brain-eating horde slowly but inexorably laying siege to your home. It’s a clever campaign – preparing for a zombie-induced disaster is much like preparing for any natural or man-made disaster. The basic needs for survival are the same, as is understanding how to access the government resources that will likely be available. You probably don’t have to spend as much time fortifying your home or preparing your weapons, however. The CDC is not the first to key in on the popularity of zombies to promote their work. In 2009 Munz et al wrote an epidemiological paper called, When Zombies Attack! to demonstrate their mathematical model for predicting the spread of a highly infectious disease. They could have chosen any disease, but by choosing zombie infection they turned their otherwise obscure medical paper into a media sensation. A UK company plans to begin selling a blood test that purports to tell you how long you will live. This, of course, sets off an immediate red flag – how can one blood test determine something so complex as life expectancy? Such skepticism is probably justified. The test, which will cost $700, measures the length of one’s telomeres. Telomeres are the caps at the ends of chromosomes, often compared to the aglets that cap the ends of shoelaces. The purpose of telomeres is to protect the ends of chromosomes during copying. The enzymes that copy each strand of DNA that makes up each chromosome cannot read to the very end of the string, so each time a chromosome is copied a bit of the end is left off. If needed genetic information went all the way to the end, then a bit of this information would be lost with each copying, causing problems. So each chromosome is capped with a non-coding bit of DNA, the telomere (a repeating sequence of TTAGGG in all vertebrates), and a bit of that is cropped off each copying cycle instead of useful genetic information. Telomeres would then become shorter and shorter until the cell could no longer divide. However, there is an enzyme called telomerase that lengthens the telomeres, thereby maintaining them (called telomere homeostasis). (As an aside, there is also an alternative mechanism for the lengthening of telomeres.) However still – telomerase is mostly active in fetuses and babies and then becomes progressively repressed in most adult tissues. Therefore, despite some ability to maintain telomere length, the length does tend to shorten as we age. A recent quote from physicist Stephen Hawking is causing a bit of a stir – actually, not much of one when you think about it. But those who take an interest in such things are, well, interested. This is an elegant statement from a respected scientist. Hawking personalizes his view by putting it in the context of his own life. To him the prospect of death is an old friend. He faces his own mortality with acceptance. But at the same time he affirms his love for life – life is possibility and he wishes to make the most out of his own brief existence, which he also hopes is not that brief.